Keeping the requirements of the smart, stylish and trendy customers in mind, Conzumex Industries Pvt. Ltd. an exciting consumer tech start-up that designs, develops and sells consumer electronics is launching their luxury hybrid smartwatch, Muse, on Kickstarter today. 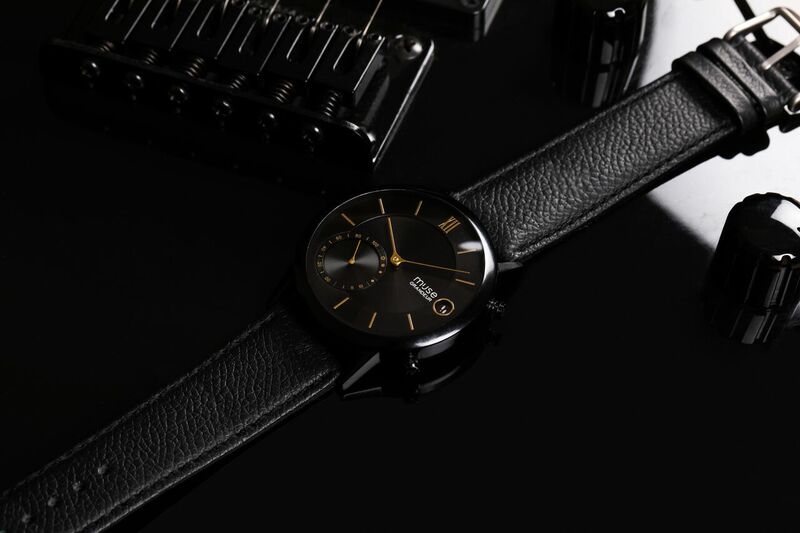 Designed for the on-the-go generation, who love to wear a watch as part of their style statement, Muse Watch comes at a very affordable price range of RS. 6,500 – 10,000 (only on Kickstarter). The watch is built around an ‘Internet of YOU’ platform - an amalgamation of smart devices, AI, and exergaming (video games that are also a form of exercise). The AI platform is a personal assistant that provides services in fitness, food and personal finance. The mobile game in Muse turns day-to-day activities into a deeply engaging experience for the consumer. Muse’s Planet Watch game generates in-game rewards through the activities tracked by the watch which in turn helps the user remain motivated in the daily routine. Muse Wearables caters to the demand of the young with 21 features and promises to solve 50% of the user’s lifestyle problems. It is a first of its kind hybrid smartwatch with NFC payments and comes with an added advantage of up to 1.5 years of battery life. Some additional features include UV tracking, auto time-zone update, nutrition, fitness, sleep tracking, and SoS alerts. The watch can be pre-booked on the Kickstarter platform starting today and will be delivered globally by the company’s vast distribution network.